Let's go ahead and get to the exciting part...the dishwashing detergent worked really well! Long story short, I have been testing out the store brand in powder version of dishwashing detergent out of curiosity to see how well it works. Well, I don't think so well. Our dishes just weren't really getting clean. I mean, yeah, they were clean, but there still seemed to be residue in the machine. We don't even eat greasy foods. So, I like this one. See the "leaves dishes sparkling" part, well it did so I am happy. This morning was just freakin' stressful. Jay needed to get to school early for band and well, he is the slowest thing alive. I love him, but dang. I blame myself to some extent because we aren't really a rushed stressed family, so there is no sense of urgency with him. Let's just say we had a long talk about that! Max was just grouchy! The boy needed coffee (or his version...cereal and peanut butter). I really appreciated the illustrator's approach to calming things down with another cup of coffee and the soundtrack to "The Village" and "The Fountain". Both of those soundtracks just make you take deep breathes. Much better! peanut flour! I can't wait to get to baking now! Last night was one of those dinners that I just did not want to end. Do you get like that with a meal when you really like all the flavors? 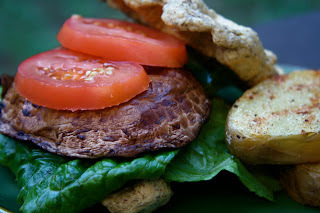 This one had all my favorite food groups in it and tons of texture. What can I say, I am a texture girl. 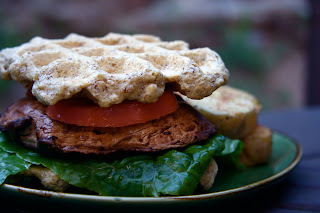 I needed a little protein in the mix, so I put together a chickpea oat waffle for my bread. I know you all think I am crazy, but I am loving these waffle sandwiches lately. I would apologize, but if you tried them you would be with me on this! Just a warning...I am in the mood for sweet waffles now too, so those will be making an appearance soon. Mix everything together and cook in a waffle iron. If you want it toasted, leave it in for a little longer. Does music calm you? The piano and the violin have a huge effect on me. What kind of music do you like to relax to? I definitely can also relax to classical music. The Fray also instantly calms me down too. Ooh, I bet those are relaxing soundtracks!! I bet it takes a while after summer for everyone to get kicked back into "work" gear. It definitely does me! If the talk works, please let me know word-for-word so I can have that same talk with the hubs. He is so freaking slow to get ready. Drives me nuts. Seriously, aren't women supposed to take longer to get ready????? Anyhoo, I am a texture girl too. Have a great evening! 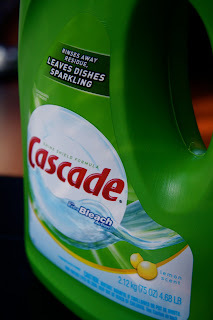 Haha, so glad to get the dishwasher detergent review! ;) We actually use that same one, just the store brand version. Works great for us too. Those chickpea oatmeal waffles look awesome! You are so creative!! i am seeing/hearing about peanut flour everywhere all of a sudden! very jealous - i've never seen it anywhere. 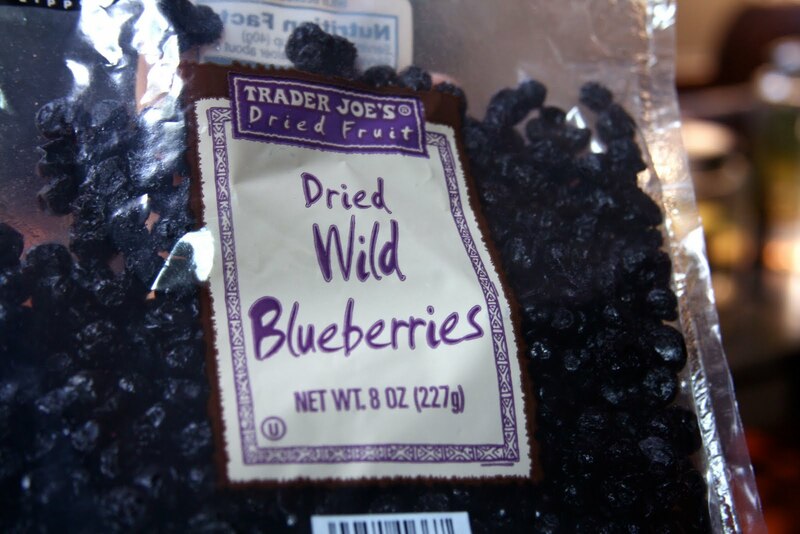 i also love dried blueberries...and for whatever reason, they, too, seem to be a rarity around here. Hope you have a more relaxing day tomorrow! I hadn't seen the peanut flour before. I;m going to have to look for that one. Interested to see what you make with peanut flower. The sandwich sounds good. I hope you find a good detergent! I like listening to David Gray or The Avett Bros to relax. 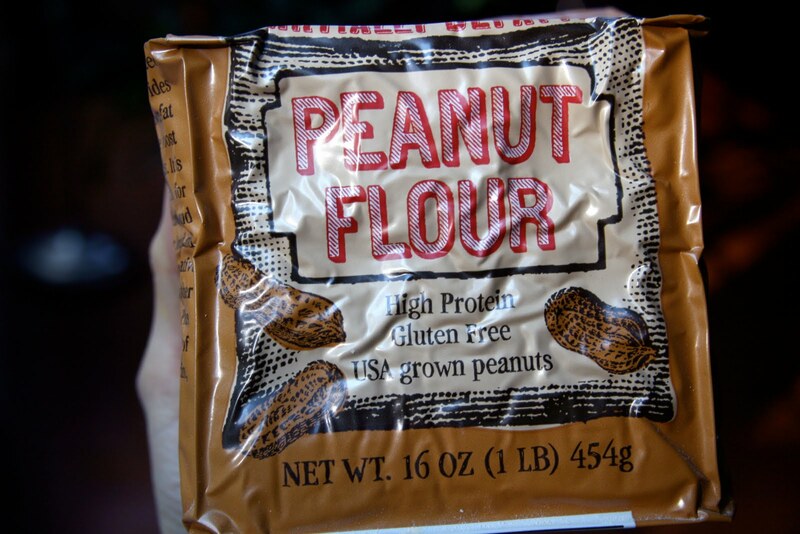 I can't wait to see what you make with the peanut flour. I bought some but I have yet to have that "aha" moment on what to do with it. It smells so peanut-y. I love your oat waffle bun -- it looks delicious. Music definitely soothes me. My mom is a pianist and when I was growing up I would hear her play all the time. It just brought a sense of peace to our house. What do you do with the peanut flour? I saw it at TJ's but didn't know what you were supposed to make with it! 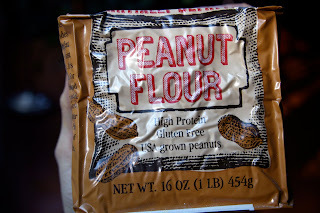 peanut flour, have it and still havent fully played around with it...or at all, really! cant wait to see what you do! music doesnt really calm me. When i am truly stressed, i just want it QUIET! Wow!!! I'm totally going to try this waffle idea... how awesome! Thank you so much for sharing it!